While the Art world is astonished at the millions of pounds Elizabeth Tailor’s beautiful painting may have fetched at art auction, we are marveling at something else. Waking up in the morning and seeing this work must have been quite an inspiring experience and very calming. Not one of Van Gogh’s most well known pieces, the sheer beauty of it is a lovely experience and certainly rare. But how can you put a value on an artistic work, that is truly without price? How can we measure something that is in fact, immeasurable? This might be the essence of luxury, itself. Creativity is the essence of a human experience; what makes it rare is how one puts it to work. That may be the value of it in the end. Artists will tell you that their gifts are valueless if they do not rise each day and work on them; compelled to take the journey towards a result that only they know of. 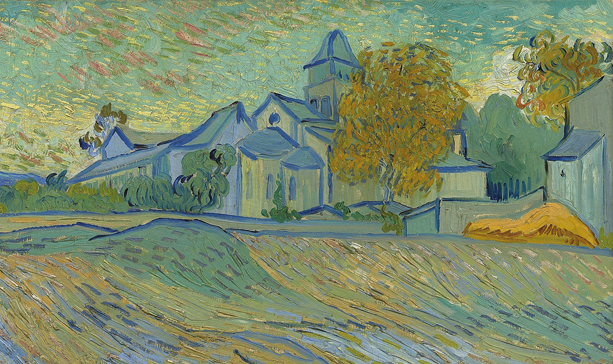 Van Gogh changed the world of painting by using color to express emotions. As for Liz and her admiration of the painting, we cannot say; but now we can all enjoy it (albeit briefly) and thank her for sharing it. For more information on the work, please go to the auction house, Christies, for a full report on the sale of the painting. A Chair says it all: Sit down and Stay a while…or not.